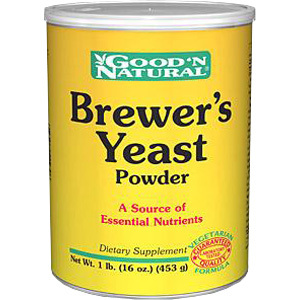 If Brewer’s Yeast is not a part of your health regimen – it should be! As a whole natural food, Brewer’s Yeast is an outstanding source of many essential nutrients, including amino acids for protein formation, and B Vitamins for energy metabolism. 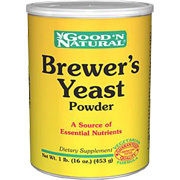 As a high-powered supplement, Brewer’s Yeast provides the dietary fiber you need everyday for optimal well being. For adults, take one (1) heaping tablespoon (15 g) one to four times daily .Mix in milk, fruit juice, soups or chopped meat. Its superb taste means you can sprinkle it on salads, cottage cheese, yogurt and other foods. Use it in cooking meat loaves, casseroles and many other dishes. Warning:Pregnant or lactating women should consult a doctor before using any product. Consult doctor before use if you are on medication, especially antibiotics, or if you have an allergy. PHENYLKETONURICS: Contains Phenylala. Debittered Brewer's Yeast Powder - is shipped in a discrete, unmarked package. Orders are processed immediately and usually take about 3 to 5 working days to be received. We do ask that you try it for 2 to 3 weeks to feel the full effects. Any information received is used only for order processing and shipping purposes. Your information, such as e-mail address, will never be disclosed to a third party.